If your home already has a sump pump, or you have been told that installing a sump pump would be a smart idea, you might want to know a bit more about sump pump operation in Hamilton. The concept of using a sump pump is to collect water that lingers around your foundation and steer it elsewhere. This would prevent mold problems, potential foundation failures, and avoid having to pay thousands of dollars of damage. There are different sump pumps. The first style that you may find is submersible. Both the motor and pump are underneath the cover. When the crock fills with water (and the float subsequently rises), the pump becomes active. The pump will continue until the float falls to the side after the crock drains down. The second different type of sump pump is called the pedestal. This is not unlike what we see in a toilet and it has a float. The rod attached to the float sticks up through the cover of the crock. It is then attached to the motor that is located above it. There are different benefits to different sump pumps, so you want to talk to your local plumbing professional to find out what the right option is for you. Most sump pumps turn on automatically through a pressure sensor or float activator. Whereas the float activator works like what we find in our toilet tank, the pressure sensor only begins to function if the water places more pressure on the sensor than the air does. There are manually operated pumps, but as you can imagine those are less popular. Especially because you will have to operate them manually if you have a flooding situation. Alternatively, their lack of convenience is only highlighted by the fact that the automatic pumps have an option for manual activation if the sensor or float arm fails to work. 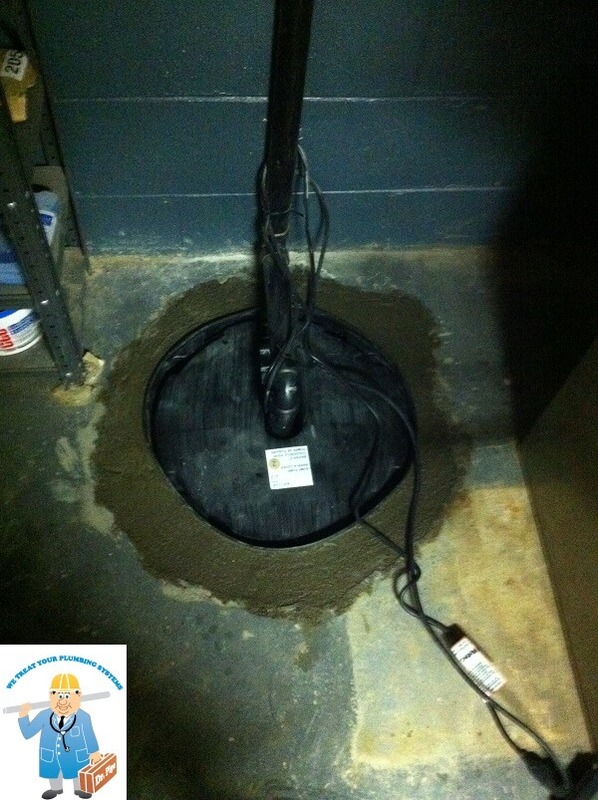 It is possible to install your sump pump yourself. Especially if you are good at manual labor and you are very handy, this is something that you could do. However, most people prefer to leave the job to the professionals. That is the best way to ensure that your sump pump operation in Hamilton is going according to plan. After all, why would you want to save a few dollars now, only to end up with the disastrous effects of flooding later? Make sure to call the Hamilton professionals at Dr. Pipe Drain and Plumbing to help with your installation.